Product prices and availability are accurate as of 2019-01-14 23:24:45 GMT and are subject to change. Any price and availability information displayed on http://www.amazon.com/ at the time of purchase will apply to the purchase of this product. 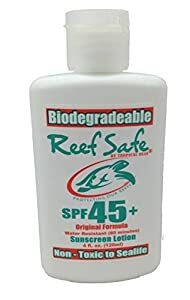 UVA - UVB Protection. Waterproof up to 80 minutes. Scent Free. Biodegrades in Oceans, Lakes & Rivers. Non-toxic to Sealife. Bait Safe ~ Will not Eliminate or Infect your live bait! 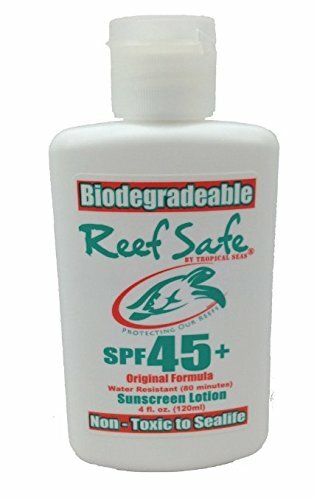 Stay secured while securing the environment with Reef Safe Biodegradeable Sun block!